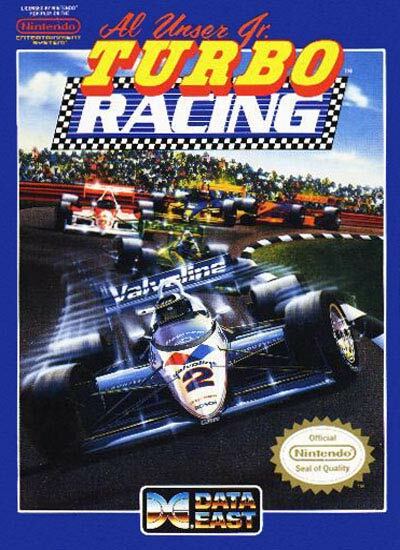 Compared to most console racing games of its time, Turbo Racing was simple. It was an arcade-style driving format, with flat-out racing permissible on all courses. The cars had a three-speed gearbox, but shifting was never necessary outside of accelerating from a standing start. The top speed in third gear was just over 180 mph. In third gear, if the player held the "Up" button the turbo boost would be activated, speeding the car up to a top speed of 230 mph. The car's fuel tank held enough turbo boost for approximately one and a half laps. If a player ran out of turbo boost, he would be required to pit to refuel within a lap. If the player did not pit, the car would run out of fuel, and the player would retire from the race. If a player suffered damage, or engine problems, a pit stop would be required within a lap, or the car would also be retired.